Li-Ning ULTIMATE women's badminton shoes in metallic silver with fluorescent orange and blue accents. Synthetic leather , mesh and TPU upper with non-marking gum rubber sole. Sizes listed above are in US (North America) and millimetres. Wide width (1E = 6.5mm). Ideal women’s badminton shoe for INTERNATIONAL level players or those that want nothing but the best! 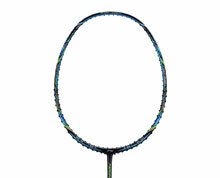 A soft cushion is strategically placed in the primary impact areas of the badminton shoe. This helps to protect the foot and provides extra shock absorption and support resulting in the most comfortable shoe possible. A light weight, super strong carbon fiber reinforcement is installed in the badminton shoe sole to protect the arch from collapsing when lunging and jumping. It also reduces the overall weight of the shoe for faster movements and increased agility. An extra layer of reinforcement is applied along the inside front and toe area of the badminton shoe. 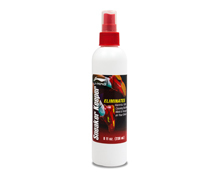 This helps to help extend the life of the shoes and provide superior product performance. This advanced badminton shoe design provides a flexible sole by installing multiple pivot points making the shoe perform and feel incredibly fast and comfortable. The use of a special composite rubber in key areas of the sole provides extra durability and higher rebound characteristic than ordinary materials. Bounce technology also assists in foot propulsion by providing better traction while reducing loss of energy during dynamic movements. A cross strap construction at the heel enhances the badminton shoes stability and reduces the possibility injury to the ankle. 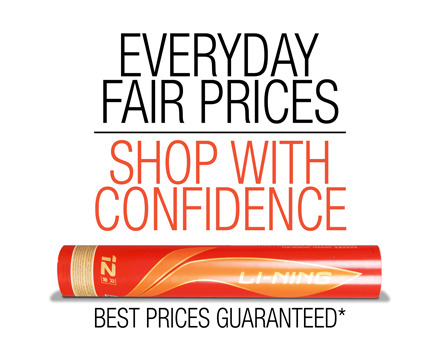 Li-Ning styles and colors change every spring and fall. 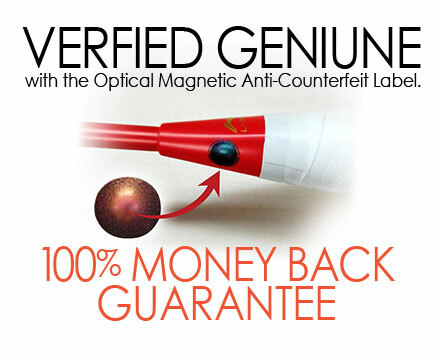 When the quantities and sizes shown here are sold out, this item will no longer be available again. Li-Ning US shoe sizes are typically a half size smaller when compared to Yonex US shoe sizes. 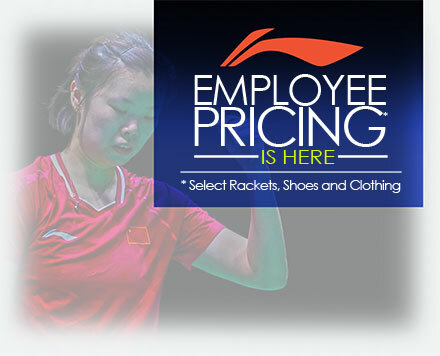 For example, if you wear a Yonex US size 7 shoe, we recommend that you purchase Li-Ning US size 7.5 shoe. 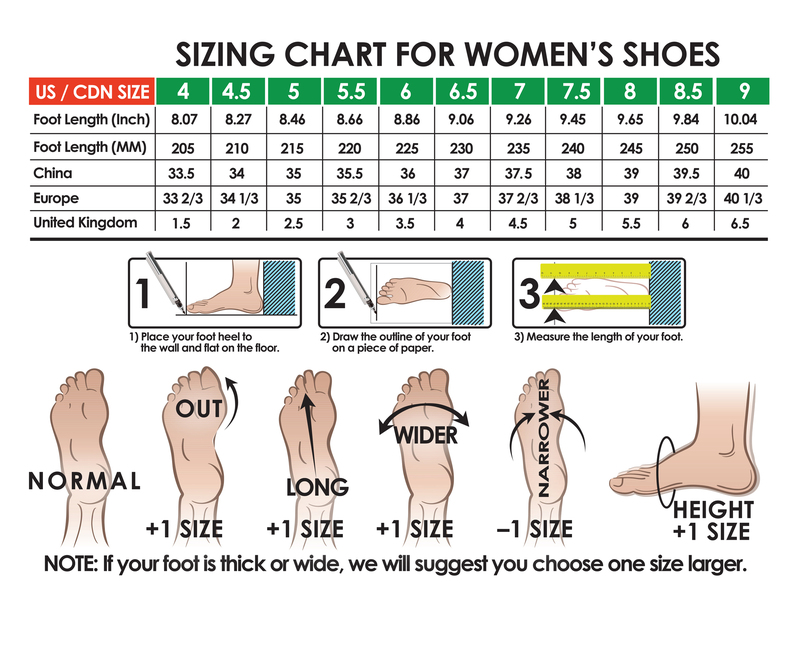 Please click on the shoe size chart link above for the most accurate sizing information.